We can equip your Tampa, FL home with a whole-house surge protection system that will protect your devices from the disastrous effects of power surges. If you’re like many other homeowners, you may believe that by simply plugging your television or computer into a power strip, or just installing a surge protective panel, you can protect your home from voltage surges and dangerous lighting strikes. However, surge protective strips or panels are not enough to protect your home in Tampa, Florida from damaging power surges. Type one devices—These devices are usually installed at your home’s utility meter. Type two devices—These devices are typically mounted to the load side of your home’s main service panel. Type three devices—These devices are usually plugged into the electronic appliances that you use within your home. 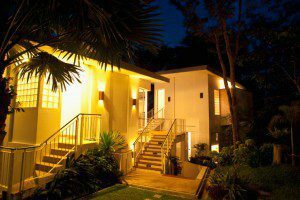 We recognize that each home has various electrical needs and requirements. When we provide you with a whole-house surge protection system, we will develop a unique protection plan for your property after inspecting its electrical components. 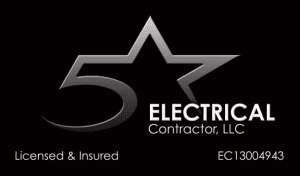 If you aren’t sure whether you need a whole-house surge protection system in your home, our team at 5 Star Electrical LLC is more than happy to further discuss the benefits of these systems with you. For more information, please contact us today.